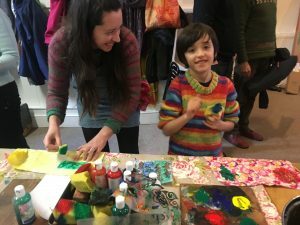 On Saturday 26thJanuary Proper Job hosted a very special day of plastic free events. 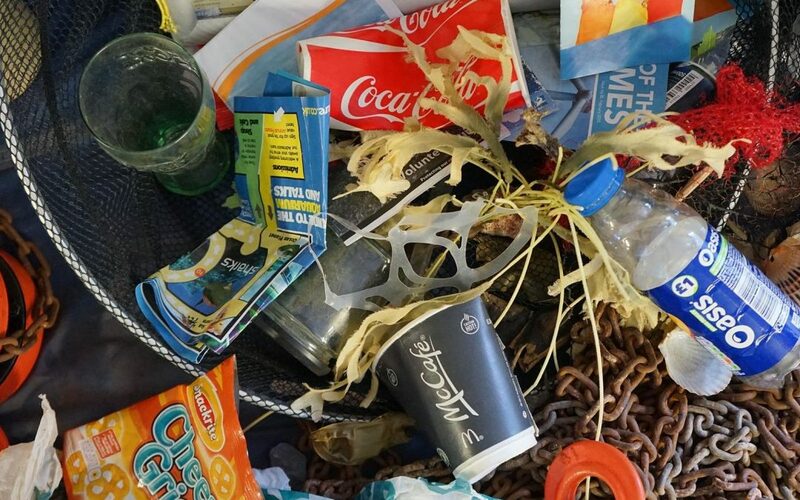 Collaborating with local likeminded individuals and businesses, our aim was to educate, inform and inspire people to reduce their use of plastic. 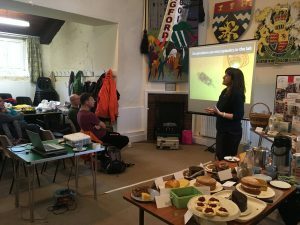 In the morning everyone was welcomed to our Plastic Free Coffee morning in Endecott House, Chagford. The community enjoyed real coffee, complimented by the delicious Taw River Dairy Milk, which comes in traditional glass bottles and is stocked at The Courtyard Café and Shop. 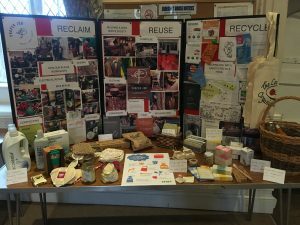 There was a wide range of plastic free alternative products, also from The Courtyard, on offer to explore and purchase including bamboo toothbrushes, shampoo bars and reusable coffee cups. In the afternoon we were incredibly privileged to have award winning scientist and leading lecturer in marine Biology at the University of Exeter, Dr Ceri Lewis, to come and give a talk on the effects of marine plastics. She delivered an amazingly informative and eye-opening talk to a packed room, and afterwards held an interesting Q&A session – certainly leaving the entire audience with food for thought. 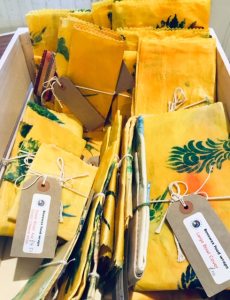 Our Plastics Free Workshop followed where participants were given the opportunity of making their own beeswax wraps under the expert guidance of Yonder Meadow Wraps. 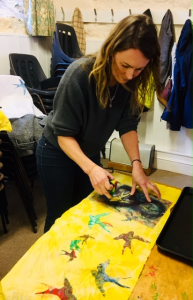 Much fun was had cutting, dying and printing fabric before the wraps were submersed in melted beeswax in the oven and then left to dry. 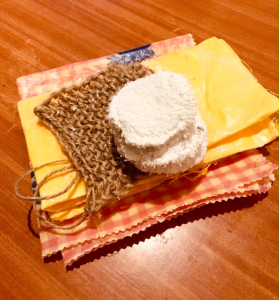 Attendees then learned to make plastic free reusable face wipes with Yuli Somme of Bellacouche and knitted sustainable washing up scrubbers with Emily Dooley of Green Shoes. 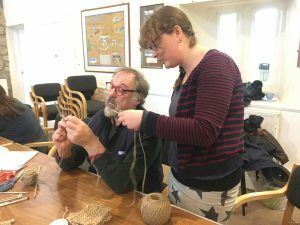 Many learning new skills whilst creating fantastic and sustainable plastic free products that will be useful on a day to day basis. It was great to see the attendees leave the event with a satisfying bundle of hand crafted plastic free alternatives and a head full of inspiration!